OneNote It’s your very own digital notebook, so you can keep notes, ideas, web pages, photos, even audio and video all in one place. Whether you’re at home, in the office, or on the move, you can take it all with you wherever you go while sharing and collaborating with others. Access Access is an easy-to-use tool for quickly creating browser-based database applications that help you run your business. Your data is automatically stored in a SQL database, so it’s more secure and scalable than ever. Office 2016 comes fully loaded with your favorite applications—Word, Excel, PowerPoint, and OneNote. It’s everything you need to be an overachiever. 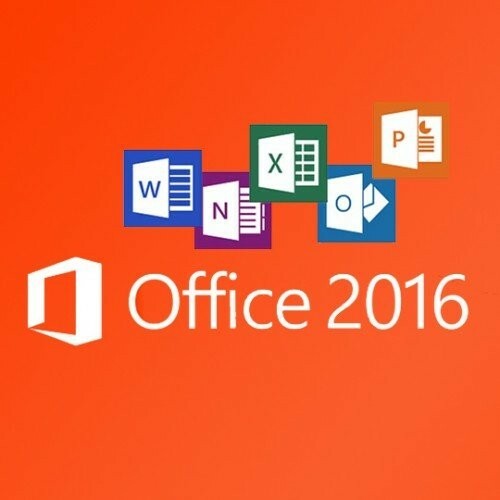 The applications in Office 2016 are packed with built-in collaboration tools to help you share and coauthor documents in Word, PowerPoint, and OneNote for faster productivity than ever before. OneDrive cloud storage integration means your files can travel with you, so you can achieve more at work or at home, locally or remotely, from virtually anywhere around the world. 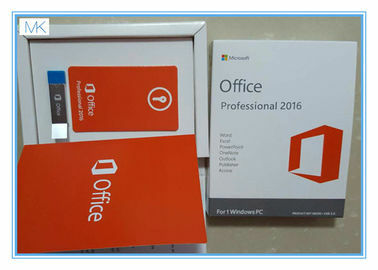 Microsoft Word Create and share professional-looking documents with state-of-the-art editing, reviewing, and sharing tools. The new Design tab provides quick access to features and the new Insights pane shows relevant contextual information from the web directly inside Word. Microsoft Excel Analyze and visualize your data in new and intuitive ways with a fresh user interface plus your favorite keyboard shortcuts. Leverage features like Analysis Toolpak, Slicers, Formula Builder, and Autocomplete to save time, so you can focus on insights. Access is an easy-to-use tool for quickly creating browser-based database applications that help you run your business. Your data is automatically stored in a SQL database, so it’s more secure and scalable than ever. Access is available for PC only. Easily create, personalize, and share a wide range of professional-quality publications. Swap pictures with a simple drag and drop, or add pictures directly from your online albums. Use special effects to make your publications stand out. Publisher is available for PC only.